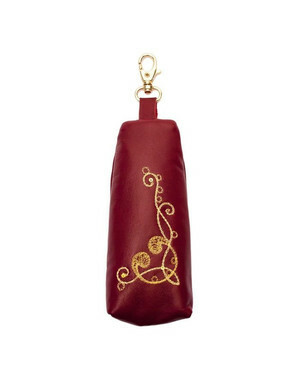 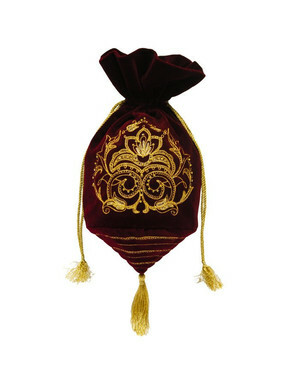 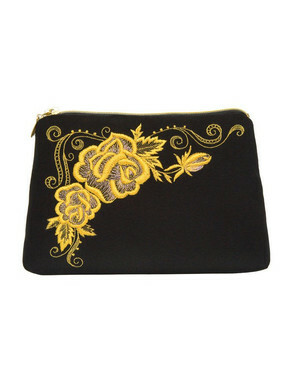 RusClothing.com has all the folk and Russian clothes you need for any occasion, but we also have the unique goldwork accessories. 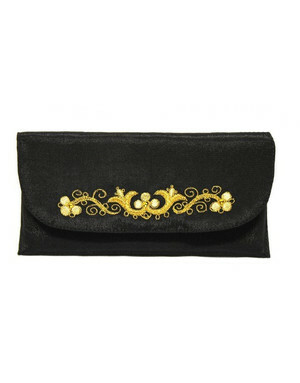 Adding a gold embroidered hairpin or brooch perfects your look. 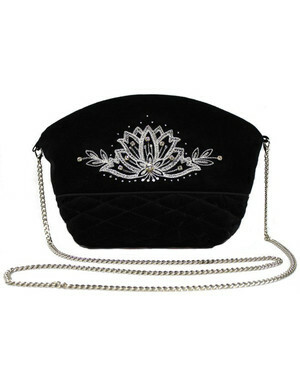 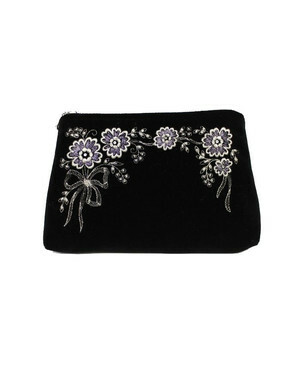 Find the perfect crafted women evening bags to personalize your favorite outfits. 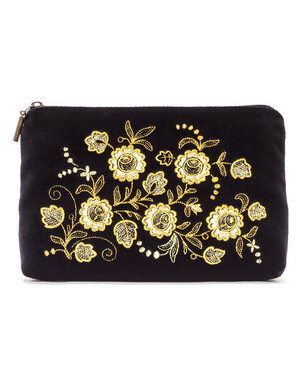 Gold Embroidery, a unique folk art and craft appeared in Torzhok in the 13th century and was widely developed in the 18th century. 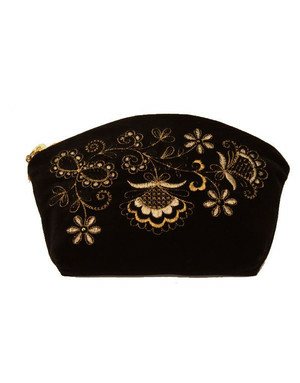 Torzhok gold embroidery has the typical floral ornament, the basic pattern was decorated with curls, tendrils, and spangles. 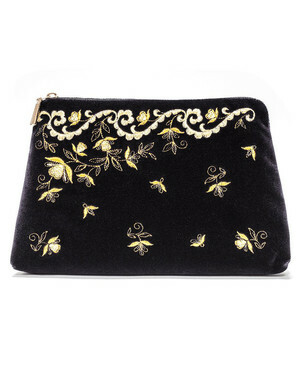 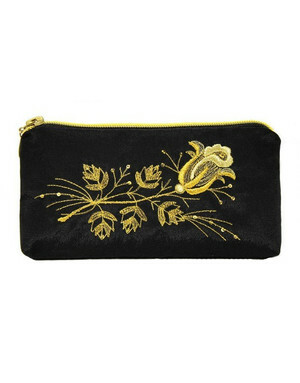 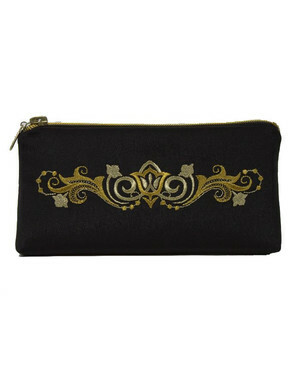 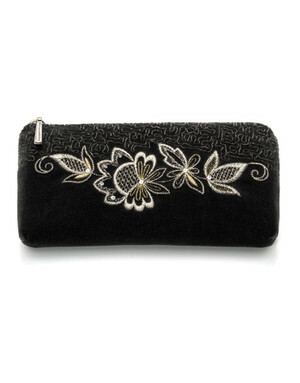 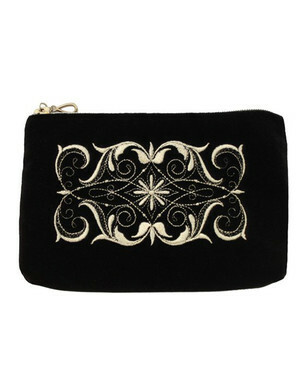 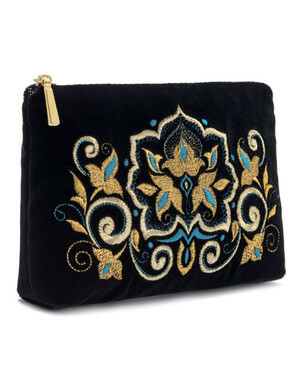 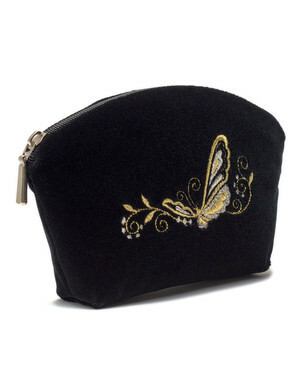 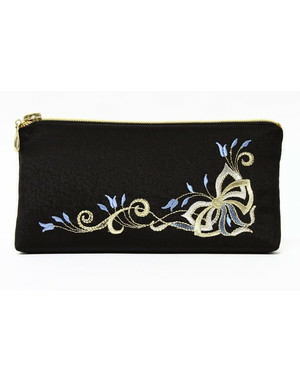 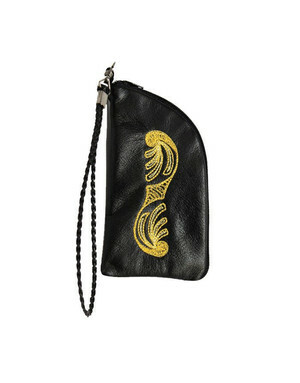 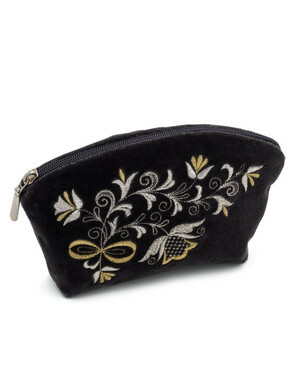 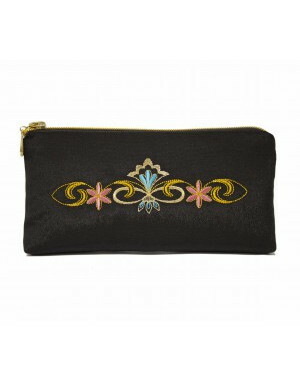 Golden brocade cover bags, wallets, scarfs, glasses cases and clutches. 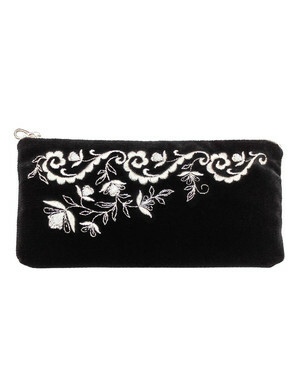 The ancient town of Torzhok is located in the Tver Region. 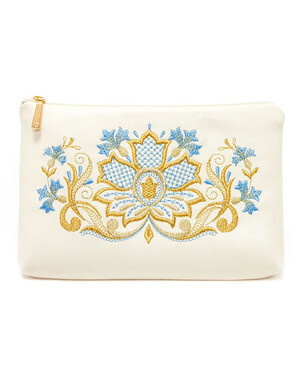 Every woman in Torzhok used to make gold embroideries, even notable people. 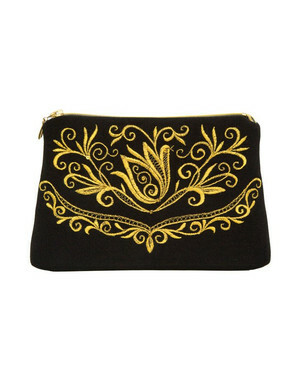 Gold embroidery was considered a true art. 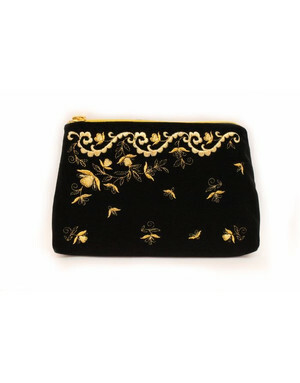 Over two and a half years, they learn to distinguish about 100 sorts of gold threads and learn numerous techniques of embroidering different patterns. 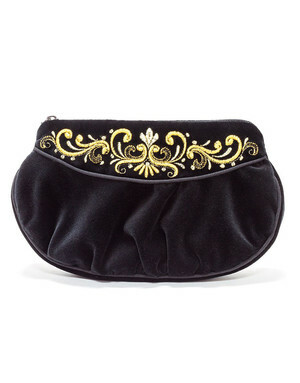 Shop our unique selection of crafted small evening bags, key holders, beauty purses and hair accessories – all of the best that complete any look.